Today we're going to get things started by talking about all things pumpkin- namely at Trader Joe's. If you're lucky enough to live by a Trader Joe's, you know that every fall, pumpkin madness takes over. There are so many crazy products to try out, but not enough time (or money). So, I'm here today to share a few reviews of pumpkin goodies that I've tried. Bonus- all of these items are vegan! Keep reading to find out what I LOVED and what you can pass on. I thought this would be a really sweet, fake tasting almond milk but was pleasantly surprised when I actually tried it. This comes out pretty thick (about the consistency of yogurt), and just has a hint of pumpkin and spices like nutmeg and cinnamon. I prefer to add this to my coffee in the morning, and it's amazing! If you like the idea of a pumpkin spice latte but want it to be stronger and less sweet, try this out! To be honest, I already knew that I loved this coffee so I had to include it! I get these K-cups every fall to enjoy at work, and they're probably my favorite flavor of all time. The pumpkin is subtle but strong enough to taste, and the coffee itself is amazing! These are super cheap too, so you can't lose. I'm a huge pumpkin lover (as we've established) and an even bigger salsa lover, so I thought this would be a slam dunk! Unfortunately, it didn't live up to my expectations. It was pretty spicy, and didn't have any distinguishable flavors. All of the fall harvest ingredients were way too subtle for me! I feel so conflicted about these chips, because they're really good but I don't get any pumpkin flavor out of them! They're really crispy and delicious, but they just taste like a salted tortilla chip. As far as a pumpkin chip these are a miss, but if you're just looking for something to dip into hummus or salsa these are great! I've never tried regular Joe-Joe's (TJ's version of Oreo's) before, but I'm going to have to! The pumpkin version is really good and sweet- perfect when you have a craving for some pumpkin goodness. I especially love these paired with some of my pumpkin spice coffee! What pumpkin foods are you loving? 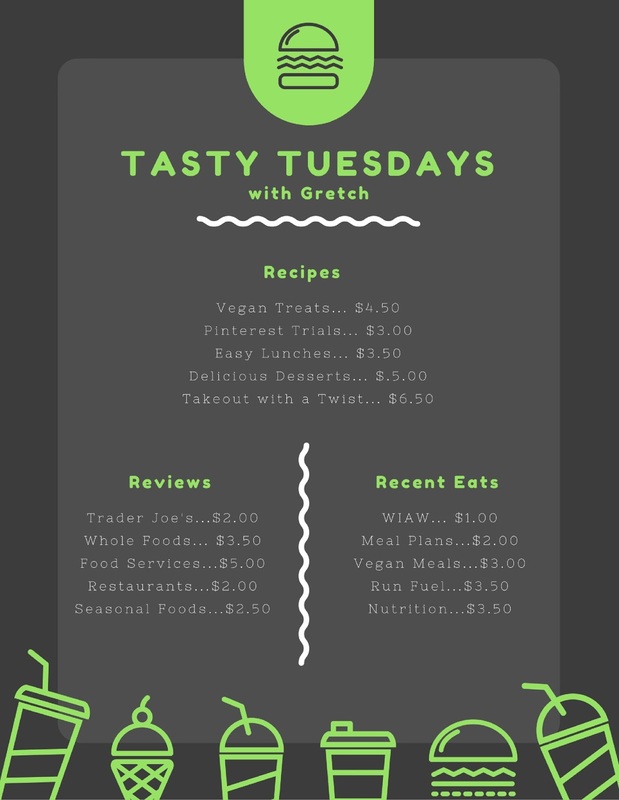 What else do you want to see during Tasty Tuesday?? No Trader Joes in Canada. :( SO SAD. I really really really want to try those pumpkin spice K cups! Those cookies look perfect for pairing with the coffee! I have pumpkin creamer in my cup right now and it's so good. I use just a tiny bit though because I don't want it overly sweet either. i love trader joes but the only way i eat pumpkin is soup, and only when my mum makes it (or campbells, but you can't buy it here.. well, not the same anyway). pumpkin chips or pumpkin oreos/joe joes? interesting lol. "Almond Beverage" lol. That's like "what is it?!" I've had the pumpkin tortilla chips and I agree with your assessment. Thanks for the heads up on the salsa. I've also head pumpkin pasta sauce too. Love this idea--cant wait for more in this series! Thats sad about the salsa--id be most excited to try that! I was at Trader Joes with some coworkers a few weeks back, they opened up those pumpkin tortilla chips + that fall salsa, have to say, I agree about no pumpkin taste with the chips, but I LOVED that salsa. Glad to hear about the almond beverage, I was thinking it might be good for homemade PSL's! Just another reason why trader Joes is the best grocery store ever!!!! I so wish there was a TJ's near me! SO MUCH good stuff! I adore the salsa - feel free to send it my way ;) Those cookies look right up my alley, too.